A fun brand that makes the comparison website more appealing. 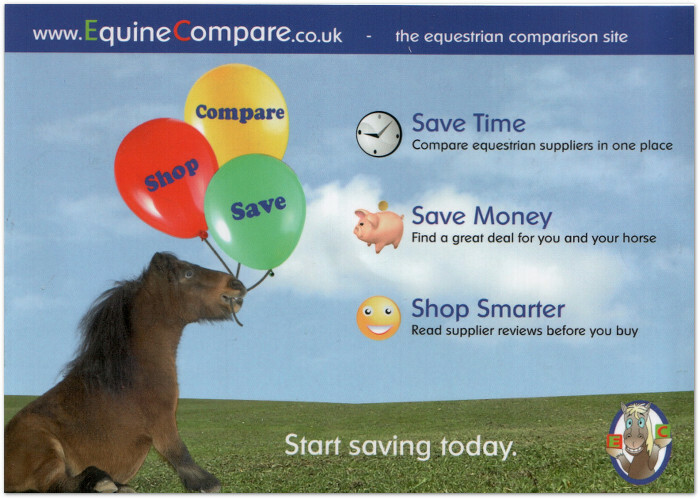 The front of a double sided leaflet handed out at the Your Horse Live event. This large stand up banner was used to promote the website and encourage people to interact with us at the Your Horse Live event. 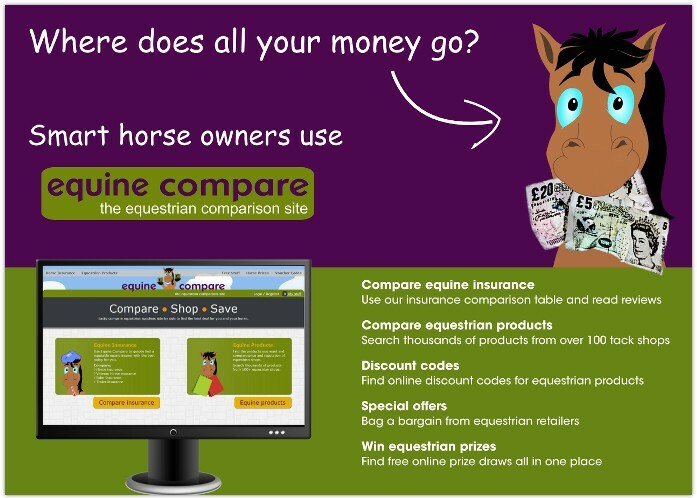 Equine Compare allows visitors to compare equestrian products and insurance. The many other features include a popular newsletter, prizes, vouchers and deals of the week. 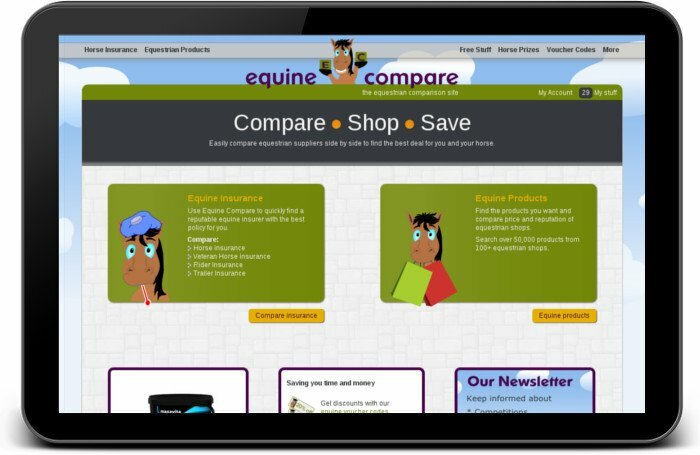 Equine Compare is owned and run by Head Start Design and allows us to offer promotion opportunities to our equestrian clients. The site is full of features and automatically re-indexes 1000's of products from many online retailers every week.